Audit report on sensitive data: a report on all queries to sensitive data. Security report on sensitive data: a report on all unauthorized queries and SQL injections to sensitive data. Operations error report on sensitive data: a report on failed operations with sensitive data. 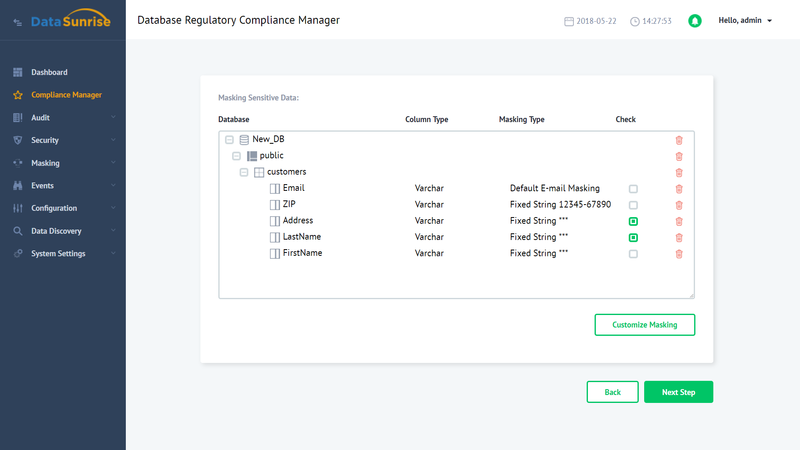 Go to the Compliance Manager in the left pane of the DataSunrise GUI. Set a Logical Name and the Database Instance you want compliant with the regulation of your choice. The Logical Name will be used as a prefix for your reference when creating Object Groups, Periodic Tasks, Rules&Reports. 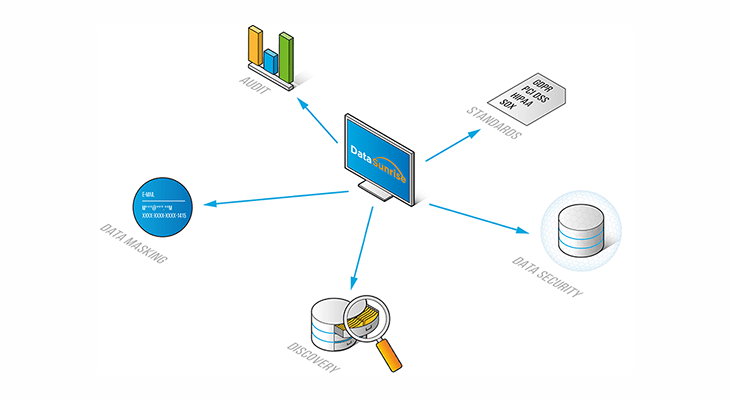 Specify a Database, Schema and Table so that DataSunrise could search for sensitive information. We’ve selected to protect Customers table from the Public schema of the New_DB database. If you don’t specify the Data Discovery Parameters your whole database(s) will be scanned to find sensitive data. Then set the Search Criteria. You can search by Standards or by Information Types. With DataSunrise you can be compliant with GDPR, HIPAA, PCI DSS, ISO27001. To be compliant with all existing data protection regulations you need to check all available regulation checkboxes. In the picture we opted to be compliant with the GDPR. Then set the Frequency of Discovering sensitive information. DataSunrise will be automatically retrieving newly added sensitive data at set intervals which could be even minutes. The Periodic Discovery feature finds new sensitive data and protects it. In the result your database(s) are protected 24/7 including newly added sensitive data. The next step displays the selected table with the methods used for customer personal information masking. By checking the checkboxes in the Check column and then clicking “Customize Masking” you can additionally select the masking methods. Click “Next Step”. The next step assigns roles for the DS User Groups. Also, you can set up a new user group. For the last two groups Third_Party_Contractors and Suppliers we’ve assigned the lowest access to sensitive information rights. Users outside a group will have no access to sensitive information. After that set the reporting settings. We’ll be using the PDF format. Click Finish and you’re good to go. The next page shows that you’re now GDPR compliant and lists newly created security policies. Amazing! Just a few clicks and you’re compliant with the GDPR regulation which came into effect on May 25, 2018! Let’s imagine that the “postgres” user was active in our database. And how can we understand what that user was doing and at what time? We can see that in the Audit Events and the Audit Reports. Now, let’s generate a report. 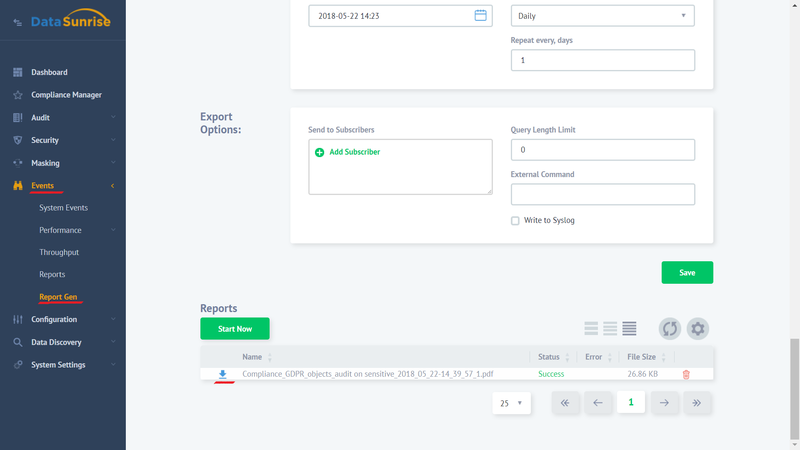 To do that go to Events section in the left pane and then Report Gen. After that click the report type you want (audit, security or operations). We’ll go for an audit report. Then scroll down and click “Start Now” to generate the report immediately. Click the download icon in the Reports section to download the PDF report. Let’s open the PDF report and see what information it contains. As it is an audit report it shows that “postgres” user has executed a Select query to sensitive data in our database. We assigned the lowest access rights to this user in the DS User Groups, still this user can execute this type of query. But all what this query returns from our PostgreSQL database is just masked data. 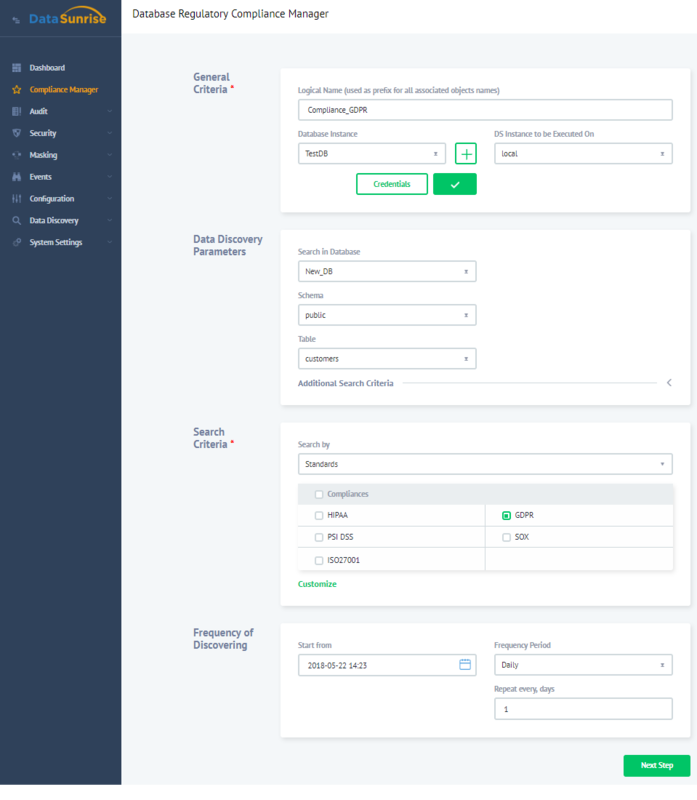 In addition to an audit report you can additionally have a security report on all blocked queries to sensitive data and an operations error report on failed operations with sensitive data. 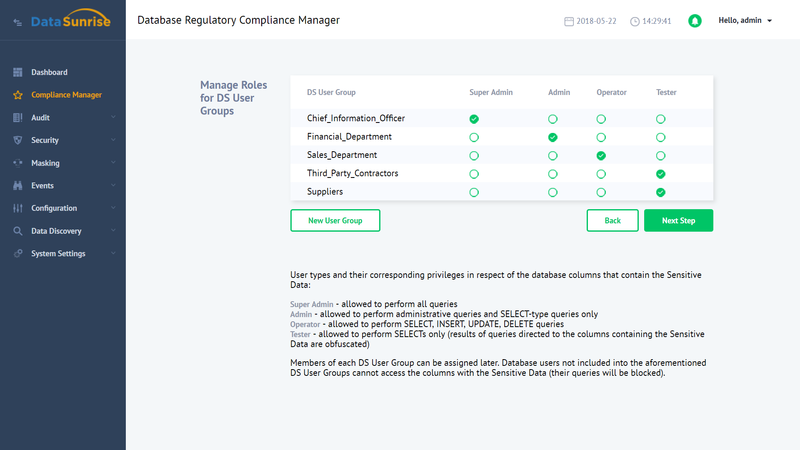 DataSunrise makes sure that you comply with all existing personal data protection legislation (GDPR, PCI DSS, HIPAA or SOX) and it will take you probably less time you have spent to read this post.